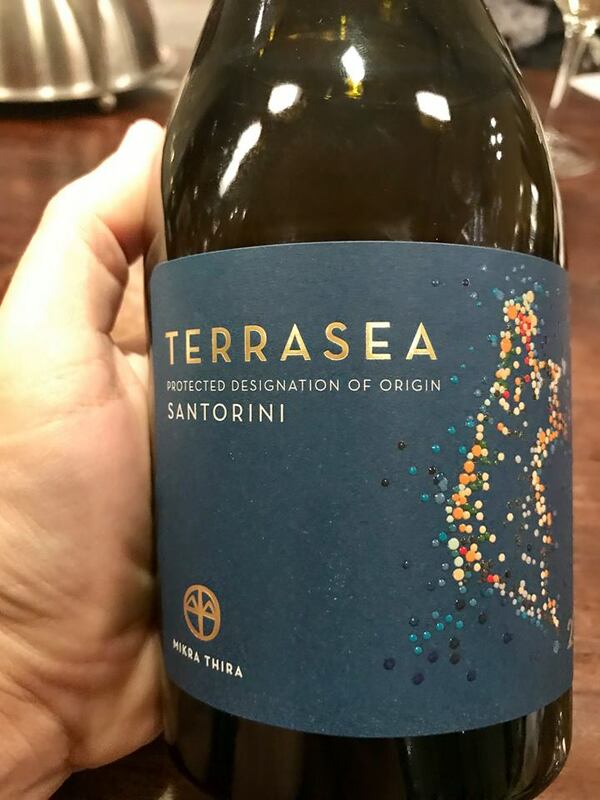 Maiden effort of expressing exclusively the terroir of Thirassia island, originally part of the Stroggyli Island up to the disastrous eruption of the volcano in 1650 BC. Nowadays, the almost circular outline is formed by Thirassia together with the islands of Thira and Aspronisi. All three belong to the same island complex. Current vineyard of Thirassia is estimated at just 32 ha when the entire Santorinian vineyard is estimated at 1.200 hectares (including Thirassia). 1.200 bottles. Attractive bright pale straw in colour with almost cool mineral and stone aroma shouting out its volcanic origin along a core of ripe candied fruit. On the palate powerful and layered with intense salty character and lemony acidity. Structured and intense. This is just an adolescent having the potential to develop beautifully in the bottle.